Breaking News on TV seems to follow an annual cycle of seasonally-associated natural disasters that can stem from hurricanes, tornadoes, blizzards, flooding and more. Not to mention, unexpected disasters such as earthquakes, terrorist attacks, viral outbreaks like Ebola and a host of other threats. As frightening as these events can be for grown-ups, they’re even more terrifying for children, and a lot of parents get bombarded with questions, or try to ignore that these threats exist so as not to upset their kids. 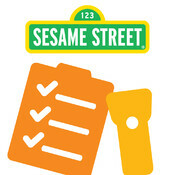 In fact, the folks at Sesame Workshop, the collective non-profit behind Sesame Street, has found that the latter may be the truest gauge of how ill-prepared most families are to deal with unexpected emergencies. 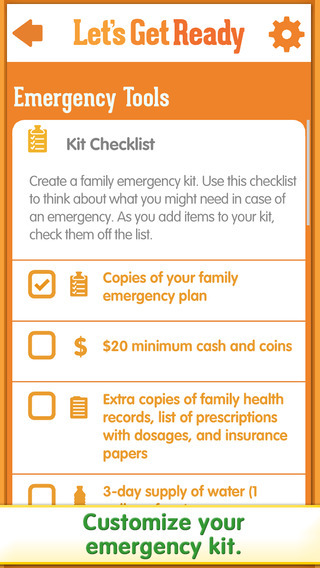 They cite a recent study that shows 60 percent of families don’t have an emergency plan. 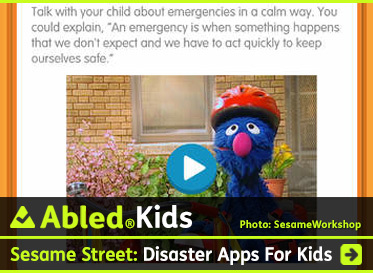 To help remedy this, Sesame Workshop has partnered with PSEG (the Public Service Enterprise Group) to produce two smartphone and tablet apps called ‘Let’s Get Ready‘ and ‘Here For Each Other’. 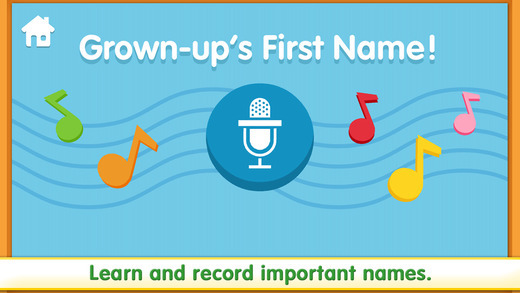 The first teaches kids what they should now if an emergency strikes, such as the names of their parents and where they live. The second teaches parents how to talk with their kids about disaster situations and answer questions that could come up in the middle of an emergency. Sesame Workshop’s Senior Vice-President of Community and Family Engagement, Jeanette Betancourt, says, “When we start these planning moments and learning this critical information early on, it becomes part of children’s resiliency to growing up kinder, smarter and stronger. It really is valuable to start early, not only as a child, but as an entire family”. 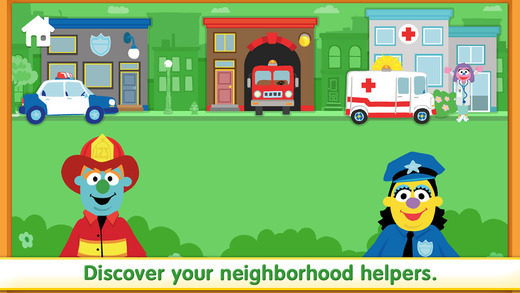 You can click on the names of ‘Let’s Get Ready‘ (en Español) and ‘Here For Each Other‘ (en Español) to find them online as part of the Toolkits section of Sesame Street’s website. You can find the ‘Let’s Get Ready’ app at iTunes for the iOS version, and at Google Play for the Android version. Sesame Workshop has also crafted other Toolkits to help families and children cope other issues like Divorce or when someone in a family has been jailed , is diagnosed with a serious illness, or has died. They’ve even prepared a toolkit for the unique issues military families face. 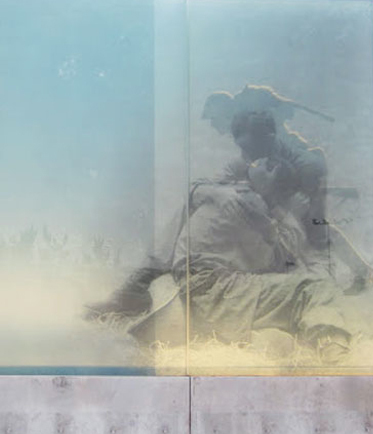 Through the juxtaposition of granite and glass, The American Veterans Disabled for Life Memorial conveys a combination of strength and vulnerability, loss and renewal. At this sacred spot, all of us—sons and daughters, mothers and fathers, wives, husbands and friends—have the opportunity to learn the important lessons of courage, sacrifice, tenacity, loyalty and honor by bearing witness to the experiences of our heroes who are disabled. 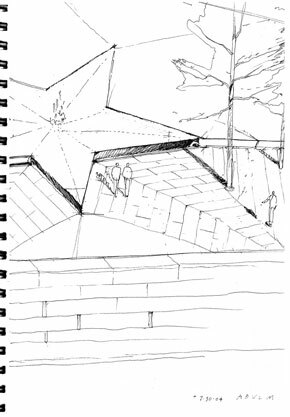 The focal point of the Memorial is a star-shaped fountain, its surface broken only by a single ceremonial flame. A grove of trees stands sentry beside the reflecting pool, signifying the persistence of hope. Dedicated to both the living and the deceased—a setting for coming together or quiet meditation—the Memorial holds a special place in the hearts of all Americans, and serves as a never-ending reminder to all of the cost of human conflict. 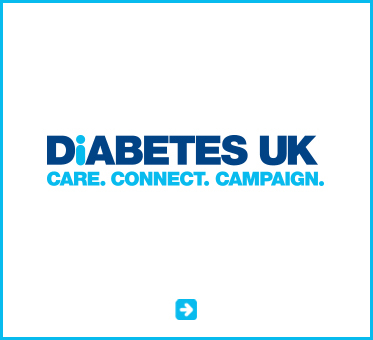 Click the + sign to the right of Abled®FAQ to close this window. Several months later Jesse, Art and Lois met together to discuss the idea of honoring disabled veterans with a memorial in Washington, D.C. This memorial would be designed to pay tribute to all disabled veterans, past, present and future, who have served or will serve in our nation’s military forces. Knowing they would need authorization from Congress in order to build a memorial, they formed a 501(c) (3) nonprofit organization, and The Disabled Veterans’ Life Memorial Foundation, Inc. was born. The initial volunteer Board of Directors of the Foundation included Lois Pope, Chairman, and Art Wilson, President, and two additional volunteer members who were brought aboard for their tireless advocacy and leadership on veteran issues: from California, Ken Musselmann, Director; and from South Dakota, Gene Murphy, Treasurer. Secretary Jesse Brown was the Foundation’s first Executive Director. All memorials in Washington are subject to the rigid standards of the U.S. Commemorative Works Act [40 USC Chapter 89 – National Capital Memorials and Commemorative Works]. Because the Act limits commemorative works honoring “… individuals or groups of individuals … until after the 25th anniversary of the death of the last surviving member of the group,” this Memorial, which specifically included living disabled veterans, required a special amendment to the Act. The Act proscribes a rigorous process – “24 Steps for Establishing a Memorial in the Nation’s Capital” – which begins with authorization by the U.S. Congress. After establishing the Foundation, Lois, Art and Jesse worked together to draft legislation to present before Congress. The final draft was introduced to Congress in October of 1998, and co-sponsored by Senators John McCain (AZ) and Max Cleland (GA), and Representatives Sam Johnson (TX) and John Murtha (PA). 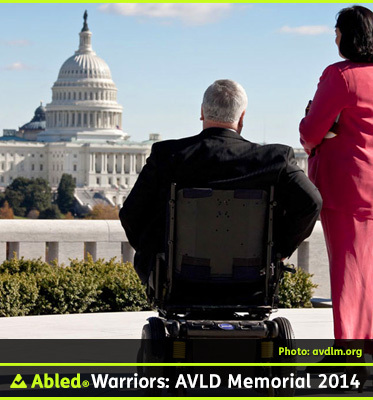 It requested that Congress “authorize the DVLMF to establish a memorial on Federal lands in the District of Columbia or its environs to honor veterans who became disabled while serving in the U.S. armed forces.” Lois, Art and Jesse made numerous trips to Capitol Hill to promote the Memorial mission with legislators, and everyone they met with had the same response: they embraced the idea and were committed to getting it moved through committee and approved. Finally, on October 24, 2000, it was signed into law by President Clinton and became Public Law 106-348. 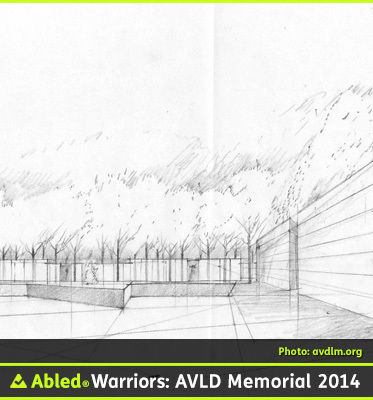 • Convene a Design Competition and select the Memorial designer. 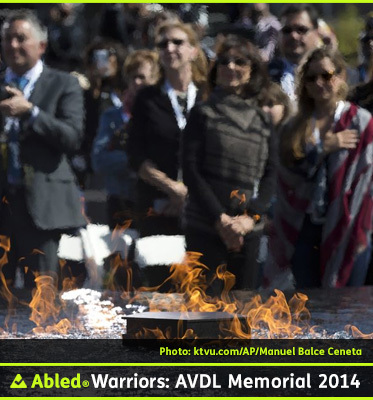 Over the ensuing years, the Foundation successfully executed each of the “24 Steps” leading to the planned dedication of The American Veterans Disabled for Life Memorial in October 2014. After dedication, the Memorial will be transferred to the National Park Service with its mission fulfilled. It’s not very often that an architect has the opportunity to leave a lasting legacy in a prominent, public setting. But that is precisely what happened to Michael Vergason, of Michael Vergason Landscape Architects, based in Alexandria, Virginia. 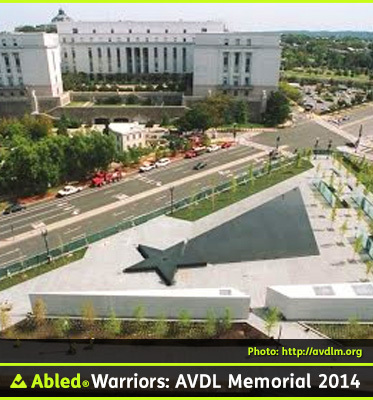 On Veterans Day in 2002, the Disabled Veterans’ Life Memorial Foundation launched a design competition for The American Veterans Disabled for Life Memorial. 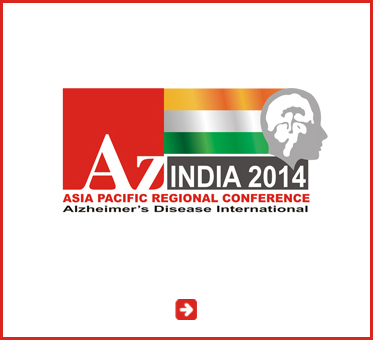 Twenty renowned architecture and landscape architecture firms were invited to participate. Michael Vergason Landscape Architects was selected the following July, based on the design concept that is now coming to life within sight of the U.S. Capitol. Vergason, whose work can also be seen at the National Cathedral, the U.S. Supreme Court, Monticello, the U.S. Cemetery at Omaha Beach in Normandy, France, and his alma mater, the University of Virginia, envisioned a hallowed place amid the bustle of the surrounding Washington streets. His design was meant expressly for its audience – disabled veterans, their loved ones and caretakers – who would now have a place for commemoration and quiet reflection within a grove of trees framed by granite and glass walls, punctuated by a ceremonial flame and a reflecting pool. This approach to design is a hallmark of Vergason’s firm. Every project is process driven, beautifully detailed and seamlessly integrated into existing conditions, deriving inspiration from the uniqueness of a place and defining the salient characteristics throughout the seasons. Founded on the belief that landscape is a poetic, humanizing discipline responding to the fundamental human need for connection to the surrounding world, Michael Vergason Landscape Architects designs lasting places through the creative and rigorous study of the site and its context. Given this guiding philosophy, the Memorial’s physical and symbolic centerpiece is a star-shaped fountain, embedded into a broad reflecting pool. Used throughout American history to honor, recognize, reward and represent our highest aspirations, this strong focal point structures the site. At its center, the ceremonial flame – the fire – embodies the elemental forces of injury, loss and renewal, and emerges from the water as a reminder of the hope that springs from perseverance in the face of adversity. And then, standing sentry-like alongside the reflecting pool, are a grove of trees to provide dappled shade and comfort along the Memorial’s main paths. These paths are lined by the glass and granite walls of Vergason’s design, each representing the strength and fragility of the human spirit. Experienced all together, these elements create a unique and respectful setting to reflect on – and honor – the great sacrifices of America’s disabled veterans…yesterday, today and tomorrow. 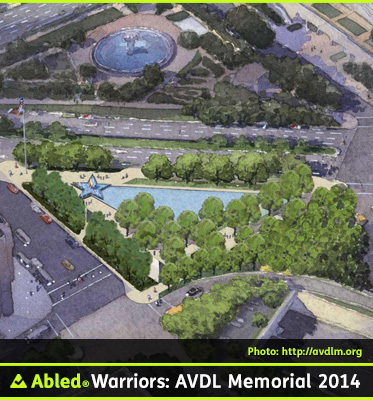 The American Veterans Disabled For Life Memorial will mean many things for many people, especially the individuals personally touched by disability, their comrades and their families and friends. These short summaries are excerpted from longer recollections by three members of the Board of Directors of the Disabled Veteran’s Life Memorial Foundation, Inc. You can read their full essays by clicking on this link. Mr. Joyner served in the U.S. Army, 9th Infantry Division, in Vietnam. 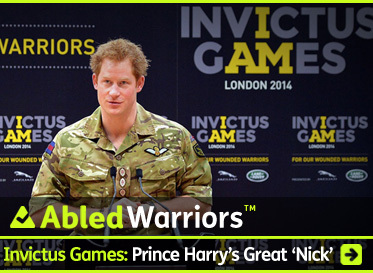 While on patrol in June 1969 in Vietnam’s Mekong Delta, he became a triple amputee due to a land mine explosion. 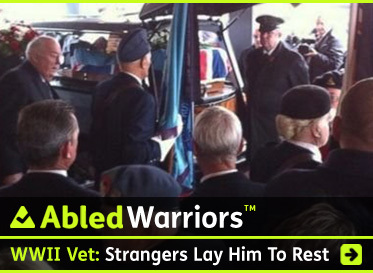 Finally, a Memorial that will recognize and remember the lives of pain and suffering that I and my fellow disabled veterans have had to endure. A Memorial that stands to honor the sacrifices forced upon my parents, my wife and my children. A Memorial that will remove those haunting words I relive every day that I screamed on the jungle floor of the Mekong Delta in South Vietnam, “Let Me Die,” as I visualized the loss of both my legs and my arm. Finally, a sense of satisfaction knowing what I gave, and my family and I continue to give, will be forever remembered. REMEMBER….the sound of my cries and visualize the loss of both of my legs and my arm as I lay wounded on the jungle floor in South Vietnam. REMEMBER….the sound of my mother and father’s hesitant footsteps on the wooden floor of the Army Hospital the first time they came to visit me. 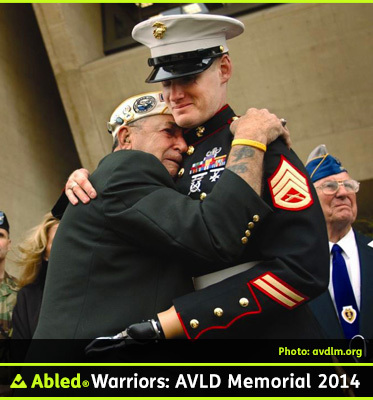 REMEMBER….the pain and suffering that I and so many other disabled veterans endure for our FREEDOM. 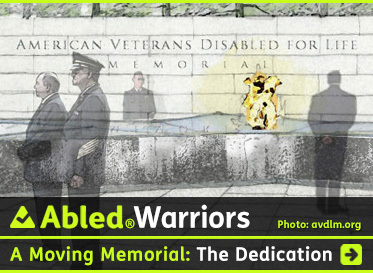 REMEMBER….as you stand view the American Veterans Disabled For Life Memorial, we did it for you. 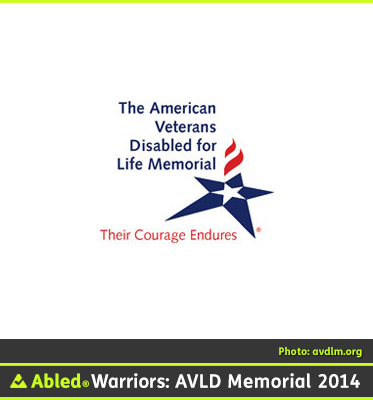 Finally, a Memorial that provides me a place to reflect back on my life as a disabled veteran. Hearing my mother so often talk about the fear she had within as she walked through the hall of Valley Forge Army Hospital on her way to see me for that first time after losing my legs and arm. Being told how my father angrily responded that I would be fine after a friend told him it was a shame what happened to me. And after being excited to receive artificial legs at age 21, only to later realize I would be more mobile living my life in a wheelchair. And what did my adult son mean when he told my wife to keep an eye on our daughter because being my father’s child is not easy? Yes, this is my Memorial for me to reflect and remember my life as one who gave three limbs defending the freedoms we so dearly cherish and for all those who live it with me. It is a Memorial that will provide those whose lives haven’t been affected by the ongoing consequences war causes to understand that war, for some, lasts a lifetime. Diane Musselmann – Director | Widow of Kenneth G. Musselman – Director, U.S. Army, Co. B 46th Infantry, 198th Light Infantry Brigade, Americal Division, and received both the Bronze Star and Purple Heart. Kenneth Musselmann served with the U.S. Army Americal Division in Vietnam where a land mine explosion and gunshot wounds resulted in the amputation of both his legs. This Memorial means reaching a dream of Kenny’s. It means remembering all the sacrifices that so many have made and have gone unnoticed by our country. Soldiers are injured and life goes on, except, life is never the same. 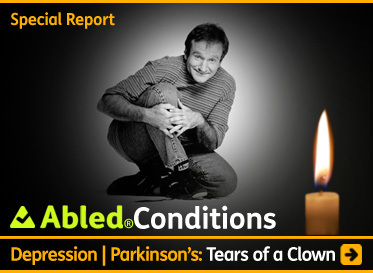 Whether you can see someone’s disability or not, the pain never leaves. The day the Memorial is dedicated, my family and I will be there to represent Kenny and stand for him. I know he will be standing proud, too. Roberto “Bobby” Barrera – Director | U.S. Marine Corps, Purple Heart Medal, National Defense Service Medal, Vietnam Service Medal, the Vietnam Campaign Medal and Combat Action Ribbon. Mr. Barrera enlisted in the U.S. Marine Corps in February 1969 and while serving in Vietnam, he was seriously burned when enemy forces exploded a 500-pound land mine beneath his armored personnel carrier. The Memorial is a direct reflection of my journey of the last forty-four years. Initially, I asked a question common to many disabled veterans, “Why me God?” I experienced a lot of anger at not having an answer to that question. I suffered. My family suffered. I needed some purpose as to my existence. Through love and compassion my anger was transformed into hope. That hope became a spirit of service. Through service to others I found my purpose in life. This Memorial is my country’s gift to me, a gift of that same love and compassion that nurtured me and carried me during the darkest period of my life. This Memorial is a reflection of who I am today. It is a Memorial of healing. It is a Memorial of hope. It is a Memorial of service, a Memorial of my service to my country. There are two chance encounters that planted the seeds of what later germinated into the inspiration for The American Veterans Disabled For Life Memorial. The first occurred in the 1960’s when Lois Pope, a former Broadway singer and TV Commercial model, visited injured Vietnam War veterans recovering at a hospital in New York, and when she reached out to take the hand of a wounded soldier as she sang ‘Somewhere‘ from ‘West Side Story‘, she discovered he didn’t have one. It was a stark, shocking moment that brought home the horrors of war to a young woman who described herself as ‘naive’ and ‘clueless’ up ’til then. The second occurred many years later as Lois Pope visited the Vietnam War Memorial in Washington, D.C., when she observed a disabled veteran in a wheelchair. She asked a park ranger where the memorial for disabled veterans was. “There isn’t one”, he answered. Those two chance encounters combined to set in motion what would become a 16 year journey to make the Memorial a reality. Mrs. Pope and her Foundations, established from her inheritance after the death of her husband Generoso Pope, Jr., the founder of the National Enquirer, contributed over $10 million to the project and helped to raise another $80 million to underwrite the costs of getting legislation approved, and then designing and constructing the Memorial. These many years later, her determination culminates in today’s dedication and she hopes the Memorial provokes “thinking and thanking” and that its location, close to the Capitol Building, makes lawmakers “think twice” about the human cost of war. Read more about this dynamic 81 year-old’s zest for life and her other philanthropic efforts at The Lois Pope Life Foundation and soon in our upcoming AbledPeople profile of Lois Pope. 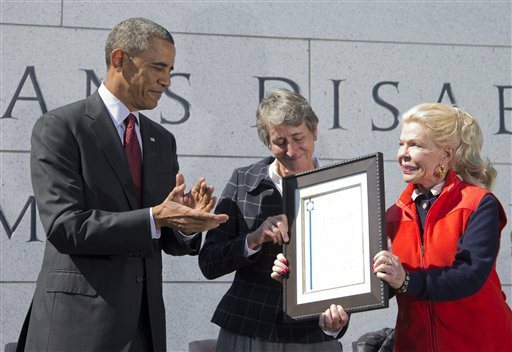 President Barack Obama, left, is presented a plaque by philanthropist Lois Pope, right, and Secretary of the Interior Sally Jewell, during the American Veterans Disabled for Life Memorial dedication ceremony in Washington, Sunday, Oct. 5, 2014. President Obama paid tribute to disabled U.S. veterans on Sunday, pointing to the dedication of a new memorial honoring those severely injured in war as a symbol of the nation’s perseverance and character. 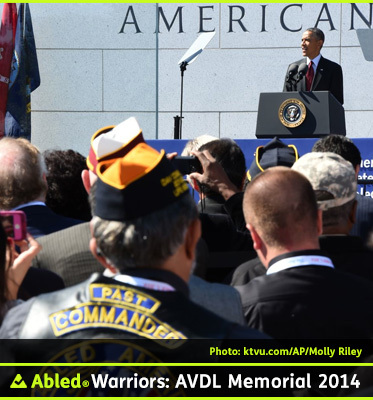 (WASHINGTON) U.S. President Barack Obama paid tribute to disabled American veterans, living and deceased, from all conflicts as he participated in the dedication of The American Veterans Disabled For Life Memorial in Washington, D.C. . The President said the memorial would commemorate two centuries of Americans who have stepped forward to serve, leaving loved ones behind, and who returned home forever altered by war. The dedication, Sunday, October 5th, was the culmination of 16 years of lobbying, fundraising and bureaucratic maneuvering by philanthropist Lois Pope, the late former Secretary of Veterans Affairs Jesse Brown and former CEO and national adjutant of the Disabled American Veterans organization Art Wilson. Mrs. Pope contributed $10 million of the more than $80 million raised and started a Foundation to shepherd the Memorial through the daunting evolution from an idea to a U.S. law enacted by Congress and signed into law by President Bill Clinton, and, ultimately, the finished site comprised of stone, glass, bronze, symbolic trees and a granite star- shaped fountain with a ceremonial flame and reflecting pool. 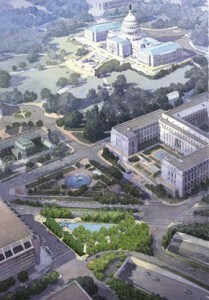 It is located behind the U.S. Botanic Garden near the Rayburn House Office Building with a kitty corner view to the U.S. Capitol Building as seen in the following watercolor rendering by the firm of Michael Vergason Landscape Architects in Alexandria, Virginia, which submitted the chosen design. (WASHINGTON) You may know him best for his indelible portrayal of disabled veteran Lt. Dan Taylor in the 1994 movie Forrest Gump, but in real life, actor Gary Sinise has used that ‘claim to fame’ as a springboard to be an outspoken advocate of veterans’ issues. In his most recent role as National Spokesman for The American Veterans Disabled For Life Memorial, he has traveled from coast to coast across the United States raising awareness about the Memorial and helping to raise funds. 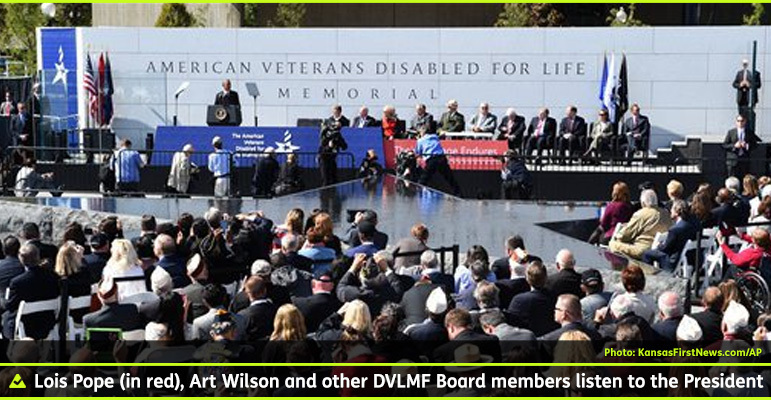 Today, Sunday, October 5, 2014, his efforts, and those of the Board of Directors of the Disabled Veterans’ Life Memorial Foundation saw the fruition of their efforts at the dedication of the Memorial. This video was produced as an overview of the 16 year journey to bring the tribute to fruition, and, as an invitation to the official dedication ceremony of October, 5, 2014. This video was produced to raise awareness about the proposed Memorial and to solicit donations to help with the funding of it. 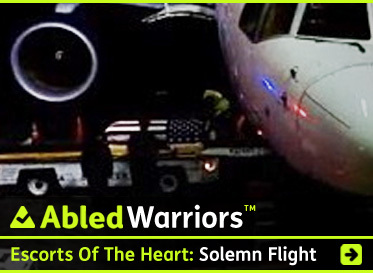 This video was produced in August as actor Gary Sinise, the official spokesman of the American Veterans Disabled For Life Memorial is interviewed for the CBS program ‘Face The Nation’. Maintain normalcy as much as possible. 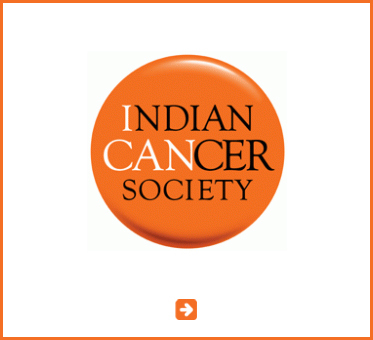 Small children can’t understand what’s happening to them as they undergo cancer treatment. To help your child cope, try to maintain a normal routine as much as possible.Try to arrange appointments so that your child can have a set nap time each day. Have routine mealtimes. Allow time for play when your child feels up to it. If your child must spend time in the hospital, bring items from home that helps him or her feel more comfortable.Ask your health care team about other ways to comfort your child through his or her treatment. Some hospitals have recreation therapists or child-life workers who can give you more specific ways to help your child to cope. 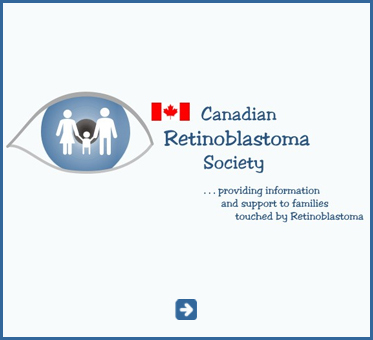 Provides emotional support and resources for families with retinoblastoma. 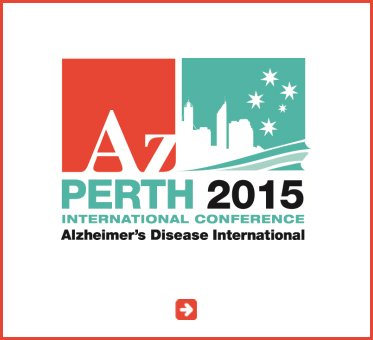 Information and referral, phone support, conferences, literature, advocacy. 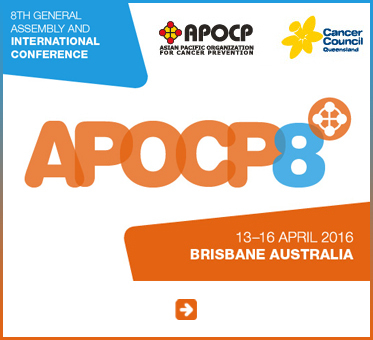 Health information, coping with cancer, new treatment and research, discussion groups, locate resources in your community. 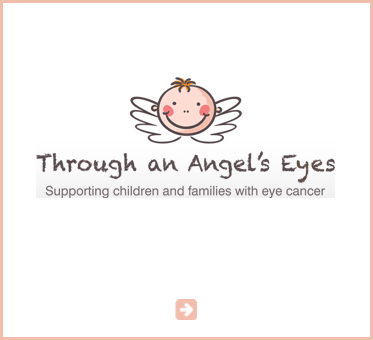 Visit this site and request a copy of The Kids Cancer Pages. 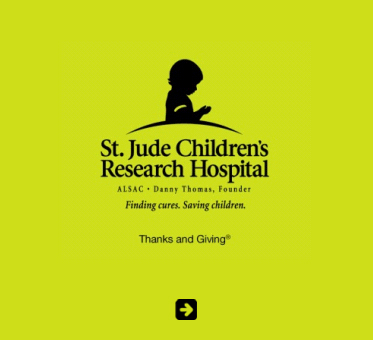 It is a comprehensive national resource directory on childhood cancer. 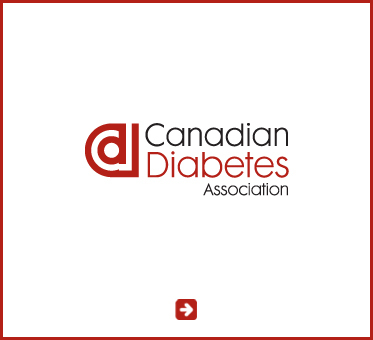 It was created to help connect and network families to organizations, information, resources, and to each other on a national basis. 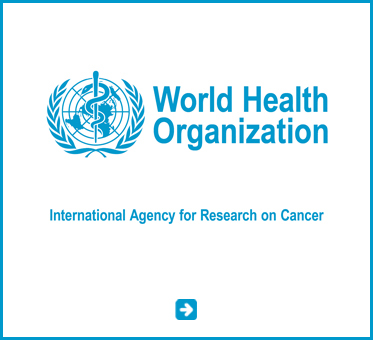 The U.S. Government’s primary agency for cancer research and information. This book provides parents with information on the most common types of cancer, treatments and side effects and common issues that arise when a child is diagnosed with cancer. 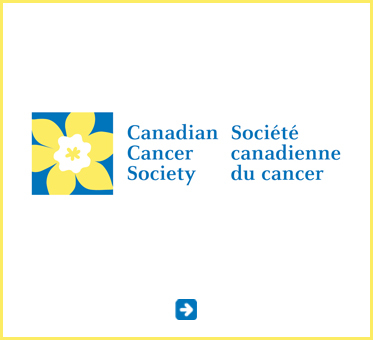 Phone: 1-800-4-CANCER (1-800-422-6237) and select the option to order publications Monday through Friday, 9:00 a.m. to 4:30 p.m. local time (within the U.S. and its territories). 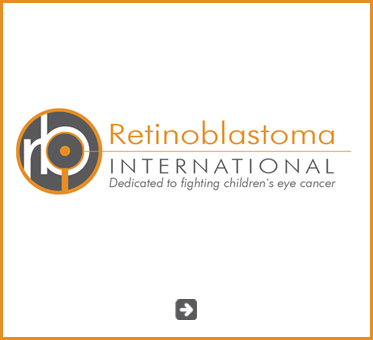 Provides information, emotional and financial support to children with cancer and their families for expenses related to cancer treatment. 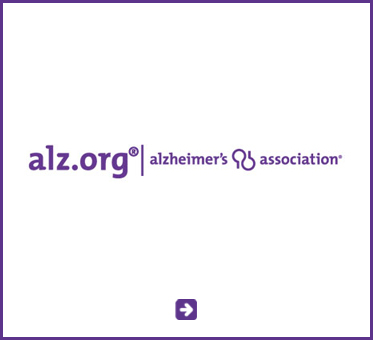 The website has special links just for kids and information on healthy caregiving for families. 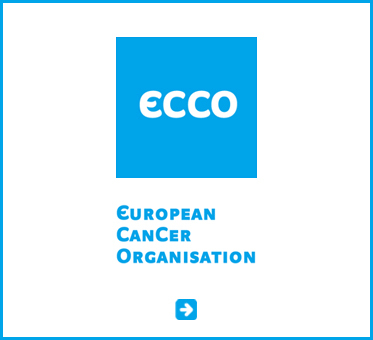 Educational, diagnostic and treatment information about ocular cancers. A website about growing up with a medical problem from the perspective of kids and teens. 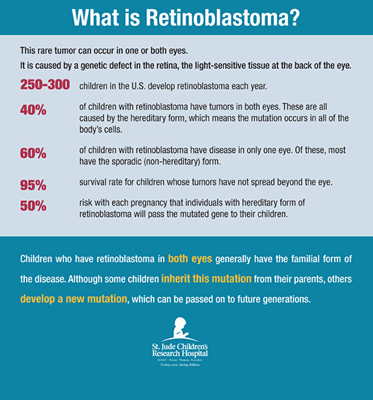 The U.S. Government agency conducts and supports research to help prevent and treat eye diseases. 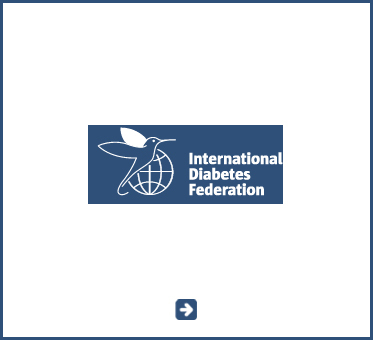 The website provides health information in English and Spanish. Books written to give survivors and their families the information they need. Visually impairment can be described as partially sighted, low vision, hard-of-seeing, or blind based on the degree of visual impairment. A person is considered LEGALLY blind when the best-corrected visual acuity is 20/200, or the person’s visual field is 20 degrees or less. Few legally blind persons have no sight; in fact, most have some remaining vision. Partially sighted or low vision generally refers to a severe visual impairment, not necessarily limited to distance vision. Low vision applies to all individuals with sight who are unable to read the newspaper at a normal viewing distance, even with the aid of eyeglasses or contact lenses. They use a combination of vision and other senses to learn, although they may require adaptations in lighting or the size of print, and, sometimes, Braille. Generally, the partially sighted individual has a central visual acuity range of 20/70 to 20/200 in the better eye with best correction by glasses. This state agency provides vocational rehabilitation and employment services for blind and visually impaired Florida residents. 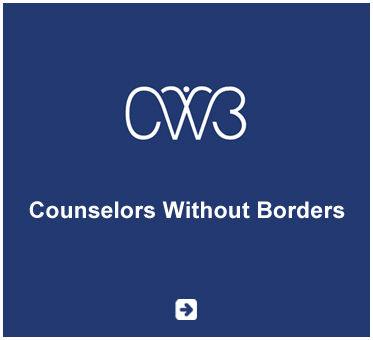 Services include school to work transition, job placement, counseling, vocational and academic training, orientation and mobility training, personal and social adjustments services and post-employment services. A part of DBS, the Florida Department of Education specialists from Children and Family Services serve eligible children who are blind or visually impaired so that they may reach educational and independent living goals. 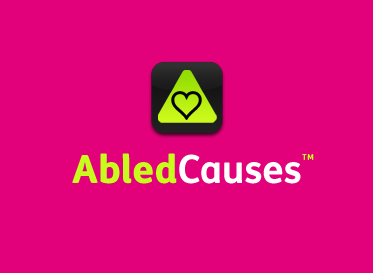 A national non-profit organization that enables parents to find information and resources for their children who are blind or visually impaired. NAPVI offers information and referral services, initiates outreach by providing seed money to promotes the development of state and local organizations, has a quarterly publication, advocates for educational needs, and offers emotional support and networking opportunities. 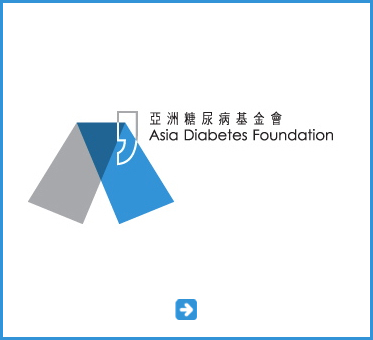 An Internet site that contains information on topics is pertaining to parenting and teaching children with a visual impairment. 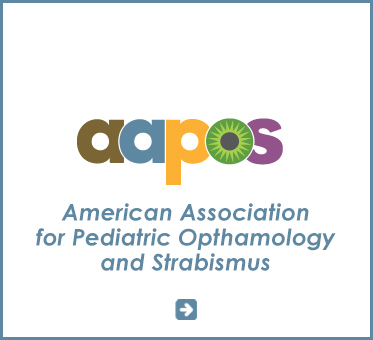 Information and links to other sites about vision-related services, special education, assistive technology and products, laws and legislation, entertainment, research, and other organizations and groups that might be of interest. The Hadley School offers Parent/Child and Parent/Family correspondence courses on a variety of topics. Parent/Child courses include: Reach and Teach, which provides step-by-step teaching techniques and guideline to help parents assess and build on a child’s strengths; Child Development; Partners in Education; Learning, Play, and Toys; and Early Independence. Parent/Family course topics include Abacus I and II; Accessing Local Sports and Recreation; Braille Reading for Family members, College Bound, the Human Eye; Independent Living; Personal Computers; self-esteem. 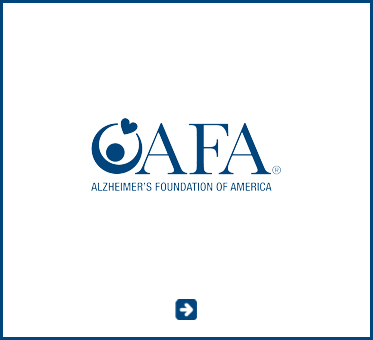 This Los Angeles organization has a number of videos and publications (some in Spanish) that can provide useful information for families of blind or visually impaired children. 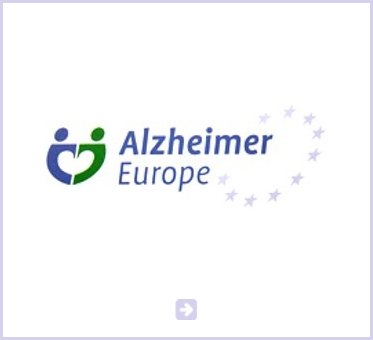 Topics include: beginning nurturing, social, play and language interactions; teaching young children who are visually impaired; common concerns for the preschool child who is visually impaired or blind; feeding a child with a visual impairment; movement development for babies who are visually impaired; orientation and mobility for preschool children designing and constructing simple adaptive mobility devices for preschool children; multiple disabilities; and parents talk about their feelings. Angel Flight is a non-profit, volunteer pilot organization that coordinates free air transportation on corporate aircraft for those with medical needs. One free flight, thereafter flights are discounted. No financial requirements. Private jets used by corporations that have empty seats, free flights. No financial requirements. Those with financial need have priority. Helps those in financial need. 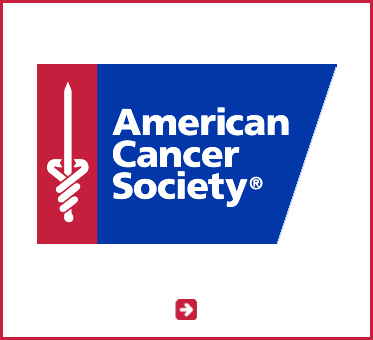 The American Cancer Society understands the challenges that families face when a loved one needs cancer treatment far from home. It can be uncomfortable and extremely costly to stay in hotels for weeks at a time. That’s where Hope Lodge can help. It offers a friendly environment with no limit on the length of stay. Hope Lodge provides several kitchen areas where families can cook their own meals. While Hope Lodge does not provide medical, counseling, or religious services, it is far more than a hotel. It’s a home-away-from-home when it’s needed most. 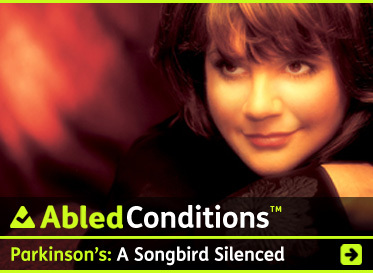 There is always a great temptation for the media to make a big deal when someone who is living with sensory loss or physical impairment achieves something. 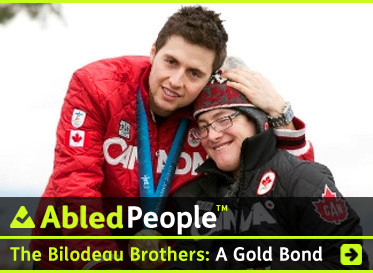 The achievement is always certainly laudable, but not because of the so-called disability. It should be celebrated for the same reasons we mark achievements by non-disabled persons who mark these milestones because of their personal and distinctive combinations of preparation, determination, discipline and, above all, character. Max Lamm is a 13 year-old who lives in Mars, Pennsylvania. He is a junior wrestler who has excelled in all these personal and distinctive markers. However, most of the media outlets and websites that are sharing a video profile of him done by the team at BleacherReport.com are touting him as a ‘blind’ wrestler. That’s something that Max would hate. 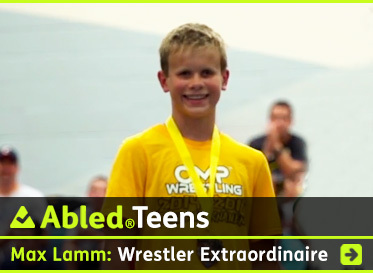 In their description of the video on YouTube, the folks at Bleacher Report even admit that, “The one lesson Max repeated throughout our interviews is that he’s not a ‘blind wrestler’, he’s just a regular kid.” Yet the headline on their website and on YouTube both refer to him as ‘Blind Wrestler Max Lamm’. As you’ll discover in the video, Max has simply adapted his remaining senses and used his brain, as any other wrestler would, to evolve his technique. He’s learned well from his coaches, applied his own instincts and has been well supported by his parents because they’ve refused to raise him as a ‘disabled child’. Max finished his last season with a 10-1 record, dominated his weight class in a regional tournament this past summer and also showed that he’s a disciplined and talented student by winning his school’s Geography Bee. Does his loss of vision give him a better ability to focus than other students? Has his upbringing influenced his determination and attitude, not to mention the confidence that his loyal guide dog, and best friend, Seal helped to evolve? They were only matched up in 2012 by MIRA. Who knows? It’s likely a combination of all of the above coupled with Max’s individual and distinct personality and character. 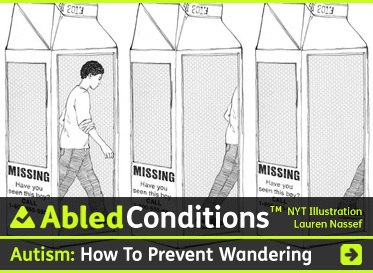 These are issues Abled.com Co-Founder Laura Meddens can relate to. 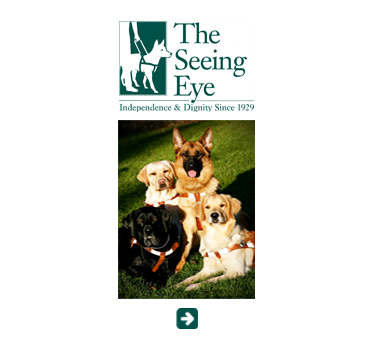 She progressively lost her sight as an adult, but adapted along the way with the help of assistive technology that’s improved over the years, and with the help of her previous and current Seeing Eye® guide dogs Wagner, and Nugget, respectively. Laura, like Max, also doesn’t want to be referred to as a ‘blind entrepreneur or a ‘blind advocate’, she’s Laura – a person who wants to live an ‘Abled’ life that is made more achievable with the assistive and adaptive options available to her. 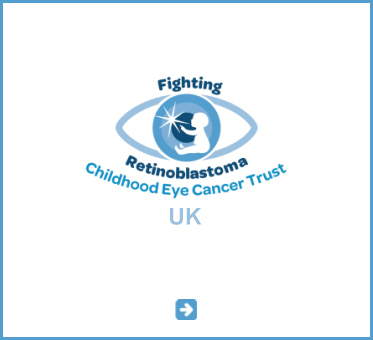 So it is with Max, and the reason we feature him as one of our AbledTeens is for the combination of his character, integrity and talents, as well as how he’s overcome the sensory disadvantage that infantile retinoblastoma caused, that make him an inspiration to all of us, blind or not. My name is Max Lamm and I am 12 years old. Three years ago I started to lose what little vision I had. I hated learning to use the white cane even though it did help me get around. My parents promised me that they would investigate getting a guide dog. My dad was denied by several guide dog groups because of my age, I was almost 11 years old. One night , my dad was researching guide dogs and came across MIRA. 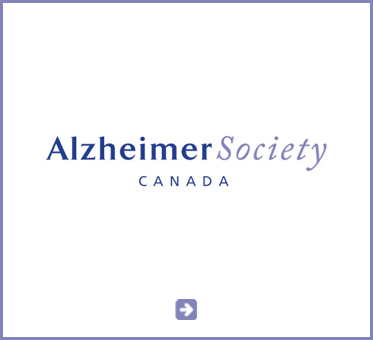 He immediately called, Bob Baillie, and inquired about the foundation. 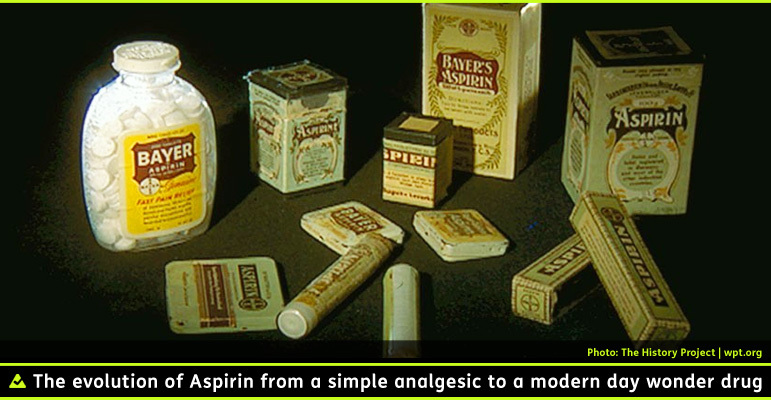 Aspirin was the brand name given to acetylsalicylic acid (ASA) and its evolution stretches back to ancient times when medicines were made from willow bark and other plants. Hippocrates wrote around 400 BCE of salicylic tea being used to reduce fevers. 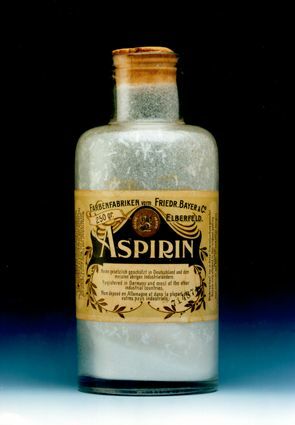 By the nineteenth century pharmacists and chemists were experimenting with various chemicals related to it and a form of it developed by Bayer was named Aspirin. Its popularity grew over the first half of the twentieth century. 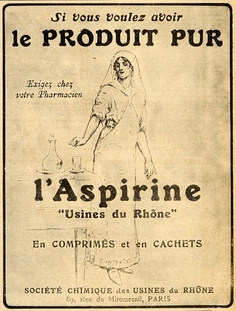 Read more about its history and its pharmacological profile at Wikipedia. Aspirin relieves headaches because of its effect on a chemical called cyclooxygenase. Cyclooxygenase is an enzyme the body uses to produce a chemical called prostaglandin. Prostaglandin is activated when the body is hurt. It tells the brain there is an injury somewhere, and the brain in turn activates the sensory response we know as pain. So, if you have an infection and your body temperature rises, causing a fever, prostaglandin tells your brain there’s a problem, and your brain triggers a headache. 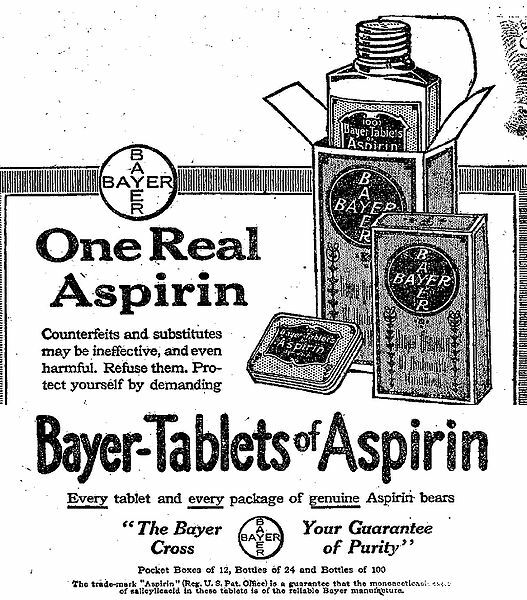 People have used aspirin for things like headaches for more than a hundred years. In the 1980s, a group of 22,000 men, all doctors, did a little experiment. Half the subjects took an aspirin every other day, and half took a placebo. At the end of the study, twice as many members of the group taking the placebo had experienced heart attackscompared with the aspirin group [source: YHF]. It’s because it blocks cyclooxygenase and, in turn, certain prostaglandins. As it turns out, prostaglandins don’t just trigger the feeling of pain. 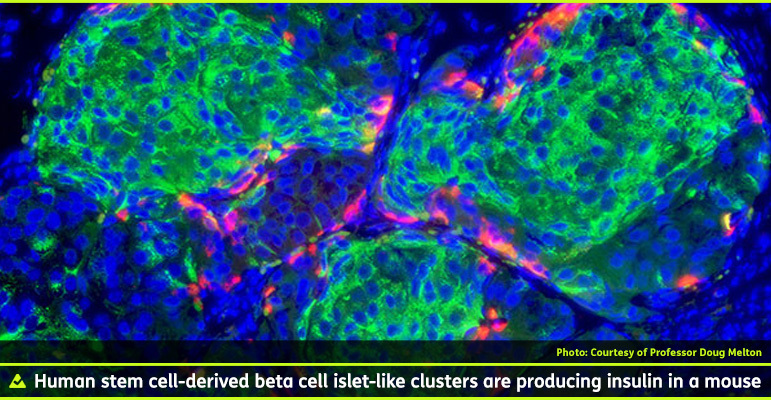 Some of them also help blood platelets clump together to form clots. Aspirin is an antiplatelet agent. It inhibits that prostaglandin that makes platelets stick together. If clots can’t form in arteries, the chances of a heart attack decrease dramatically. Some people are allergic to aspirin, and they should always avoid it. Also, since aspirin inhibits blood clotting, people with bleeding disorders and things like ulcers can’t use it, because it can lead to uncontrolled internal bleeding. It can interfere with certain medications and it can cause stomachaches and other gastrointestinal problems. In high doses, it can even cause a ringing in your ears. Because it does have these side effects, doctors usually don’t recommend an aspirin regimen for healthy people who do not have disease. 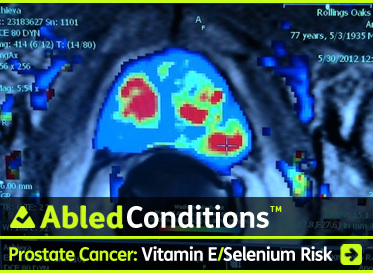 For people at low risk, the benefits just don’t outweigh the dangers. A new study from Queen Mary University in London concludes that taking 75 to 80mg of aspirin a day significantly lowers the risk of cancer. The University says in a news release that to reap the benefits of aspirin, the evidence shows people need to start taking a daily dose of 75-100 mg for at least five years and probably 10 years between the ages of 50 and 65. No benefit was seen while taking aspirin for the first three years, and death rates were only reduced after five years. If taken for 10 years, bowel cancer cases decreased by 35 percent and deaths from the disease by 40 percent, according to the research. The risk of esophageal and stomach cancers are reduced by 30 percent. Dr. David Agus told “CBS This Morning” that the pill is most effective if taken long-term. Agus says aspirin is effective against cancer because it is an anti-inflammatory. “We think the daily dose is something that lowers or tempers the inflammation, reducing the risk of cancer and heart disease over time,” he said. For 60-year-olds, a daily aspirin regimen for 10 years increases the risk of stomach bleeding from 2.2 percent to 3.6 percent. Agus advises patients get the okay from their doctor before adding the pill to your daily routine. Overall, rates of serious or fatal gastrointestinal bleeding are very low under the age of 70, but increased sharply after that age. 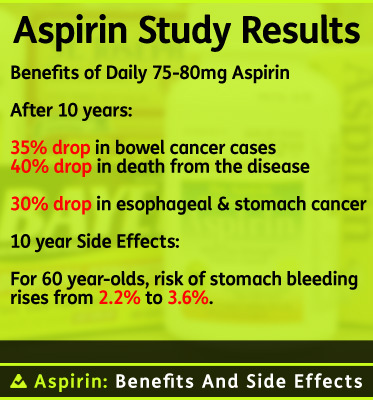 Another side effect of aspirin use is peptic ulcer, the risk of which is increased by 30-60%. The study also uncovers uncertainty over the most appropriate dose of aspirin required to maximize the benefit / harm ratio, with doses varying between 75 mg to 325mg a day in different clinical trials and studies. It is also not clear whether taking aspirin for longer than 10 years will result in greater benefits. 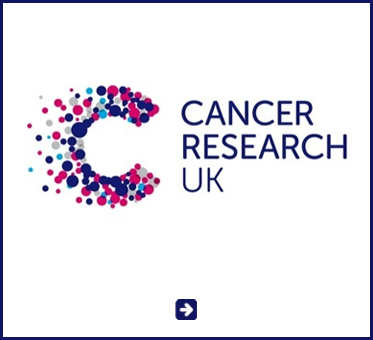 Professor Jack Cuzick, Queen Mary University of London, comments: “It has long been known that aspirin – one of the cheapest and most common drugs on the market – can protect against certain types of cancer. But until our study, where we analysed all the available evidence, it was unclear whether the pros of taking aspirin outweighed the cons. “Our study shows that if everyone aged between 50-65 started taking aspirin daily for at least 10 years, there would be a 9% reduction in the number of cancers, strokes and heart attacks overall in men and around 7% in women. The total number of deaths from any cause would also be lower, by about 4% over a 20-year period. 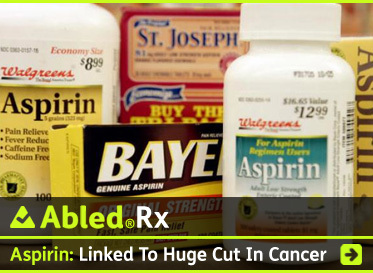 The benefits of aspirin use would be most visible in the reduction in deaths due to cancer. Prof Cuzick said the recommended dose was 75mg per day and that the risk of internal bleeding associated with aspirin could be cut by around one third by testing and treating anyone found to be carrying the infection, H.pylori in their stomachs. Agus says that while the preventative benefits are the same for men and women aged 50-65, women should start taking aspirin later in life than men. 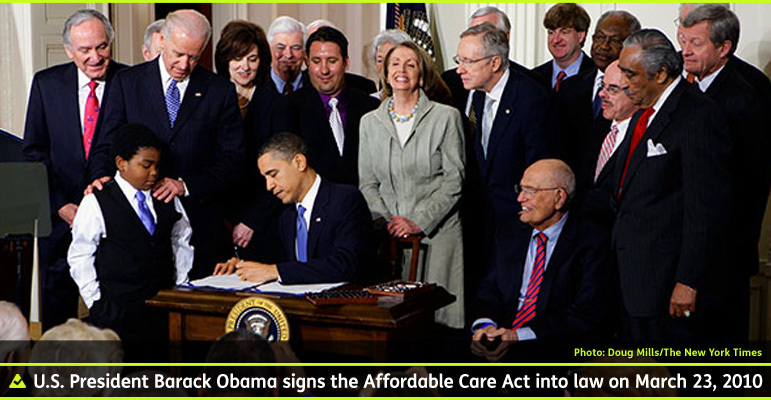 ObamaCare is the un-official nickname given to The Patient Protection and Affordable Care Act which was signed into law in the United States by President Barack Obama on March 23, 2010. ObamaCare’s main focus is on providing more Americans with access to affordable health insurance improving the quality of health care and health insurance, regulating the health insurance industry, and reducing health care spending in the U.S.
For those Americans who already have health insurance, the only changes you will see under the law are new benefits, better protections from insurance company abuses, and more value for every dollar you spend on health care. If you like your plan you can keep it and you don’t have to change a thing due to the health care law. The President addressed concerns from Americans who have received letters of policy cancellations or changes from their insurance companies in an interview with NBC News,watch the video or read a transcript. If you have health coverage you like, you can keep it. Children under 26 can stay on a parent’s health insurance plan. If you don’t have coverage, you can use the new Health Insurance Marketplace to buy a private insurance plan. Pre-existing conditions are covered. 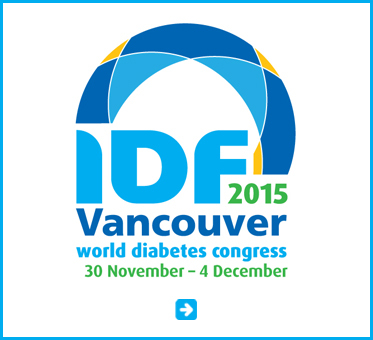 So are many preventive services and 10 essential health benefits. Depending on your family size and income, you may get lower costs on monthly premiums and out-of-pocket costs. You may also qualify for free or low-cost coverage from Medicaid or the Children’s Health Insurance Program (CHIP). Many states are expanding Medicaid to cover more people in 2014. 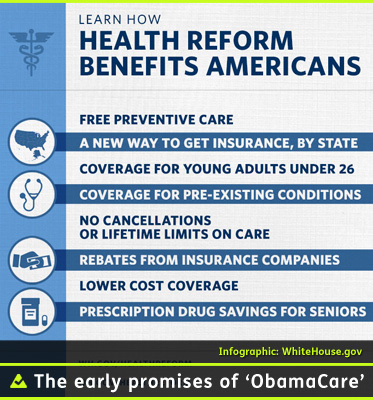 If you don’t have coverage in 2014 you’ll have to pay a fee. In 2014 it’s $95 per adult ($47.50 per child) or 1% of income, whichever is higher. The family max is $285. If you have coverage and want to explore Marketplace plans, you can. But if you have an offer of insurance from an employer, you may not be able to get lower costs on Marketplace insurance based on your income. It depends on whether the insurance you’re offered is considered affordable and meets minimum standards. Medicare isn’t part of the Marketplace. If you have Medicare, keep it. 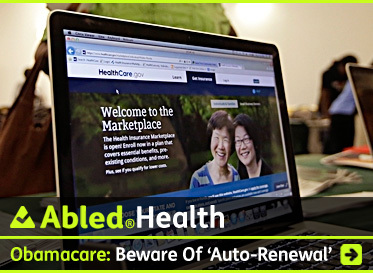 If you’re one of the 10.3 million U.S. consumers who have signed up for what’s been nicknamed ‘ObamaCare’, you’ll have to be extra vigilant when your coverage comes up for renewal. You could end up paying more if you’re not paying attention to some of the ‘fine print’ items. Health and Human Services, hoping to prevent logjams during the 2015 open enrollment season, have proposed making automatic renewals available to the 10.3 million who have already enrolled saying they will get ‘the exact dollar amount’ they are currently receiving. But the worry is that HHS isn’t taking into account a whole bunch of things such as cost of living adjustments, new plans and bids from insurance companies, and changes in the community benchmark plans because millions of new customers will be signing up for coverage when open enrollment begins on November 15. 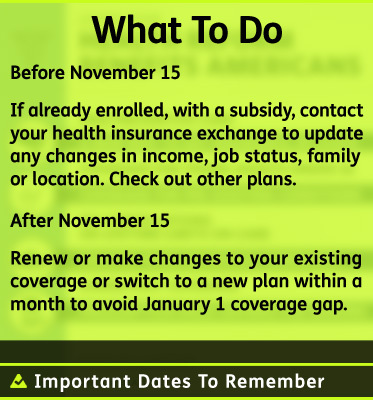 If you currently have coverage, you’ll have almost a month to renew or make changes to your policy, otherwise you’ll suffer a gap in coverage come January 1, 2015. And because the financial aid subsidy that benefits about 80% of those who signed up for private coverage is, to put it politely, is quite complex, you’d probably do yourself a favor by contacting your health insurance exchange to update any changes in income, job status, family size, whether you’ve moved, or anything else that could have an impact on your subsidy. You can do that anytime before the open enrollment floodgates open. If you want to change over to a new plan, you’ll have to wait until November 15. But in the meantime, you would do well to check on new and upcoming insurance plans and shop around because it will be quite likely that your current policy and subsidy formula will be out-of-date come the fall. Despite the initial launch issues and partisan political naysaying along the way, HHS announced this week that those 10.3 million consumers have saved a total of $9 billion dollars on health insurance premiums. Who is Jessica Joy Reece? How can I contribute to Joy Jars? Joy Jars® are the creation of the late Jessie Rees, a 12 year old cancer patient who started filling them as a way to send hope and joy to other kids like her who are fighting cancer. As the Jessie Rees Foundation NEGU (Never Ever Give Up) says, Jessie knew that fighting cancer made you feel lonely and limited. She also knew “love” stuffed in a jar was a great remedy. Jessie personally sent over 3,000 Joy Jars to kids during her fight. Since then, over 80,000 Joy Jars have been stuffed and sent to courageous kids worldwide. From imdb.com: Max Page was born as Maxwell James Page. He is an actor, known for The Young and the Restless (1973), Prime Suspect (2011) and I Didn’t Do It (2014). Max played a young pint sized Darth Vader in the leaked Volkswagen Passat Superbowl Commercial that went viral on You Tube 4 days before the Superbowl. The video received over 12 million views in four days and many speculated it was a girl under the mask. Max’s uncle a Radio Dj out of Virginia confirmed Max appeared in the commercial as well as many media outlets in the days the video went extremely viral. Max is a heart patient at, and an advocate for, Children’s Hospital Los Angeles for treatment of Tetralogy of Fallot, a heart defect found in children. His parents are Jennifer and Buck Page. He has a brother named Ellison. You can find Max’s facebook page here, and his Twitter account here, to follow his advocacy for children facing medical challenges. Jessie Rees was a beautiful, athletic, smart and compassionate 12 year old girl who bravely fought two brain tumors (DIPG) for ten months and two days. Her fight started on March 3, 2011 and ended on January 5, 2012 when she earned her angel wings. During her courageous fight, Jessie decided to focus on helping other kids fighting cancer that couldn’t leave the hospital. This desire led to the creation of her fun-filled JoyJars® and Never Ever Give Up (aka: NEGU®) message. Today, JoyJars and NEGU are recognized symbols of hope, joy and love in over 27 countries. You can contribute with a donation by joining the JoySquad. You can also request a Joy Jar for your child or a ‘Courageous Kid’ you know. You can also request JoyPacks for a hospital. Any way you choose to contribute will be greatly appreciated by the children whose spirits you help to lift. 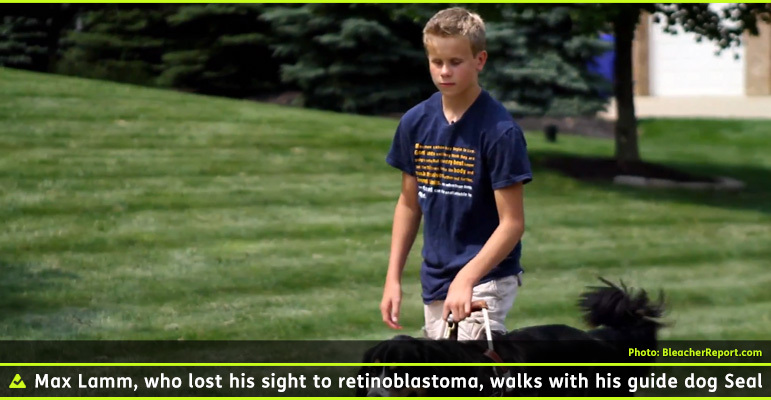 This is a story of two brave kids who know what it is to stare a life-threatening illness in the face. Sadly, one of them is no longer with us, but her spirit looms very large over the legacy she has left behind. 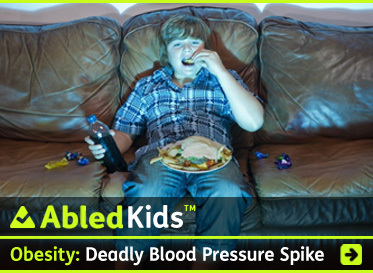 The other shot to fame in a viral video during a Super Bowl game and continues to find fame as a member of the cast of the television soap The Young & The Restless, and through his advocacy for other children who are facing health challenges of their own. 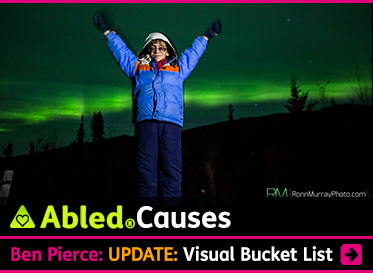 Meet the inspiring spirit of Jessica Joy Rees, known to everyone as Jessie, and the pint-sized force that is Max Page. 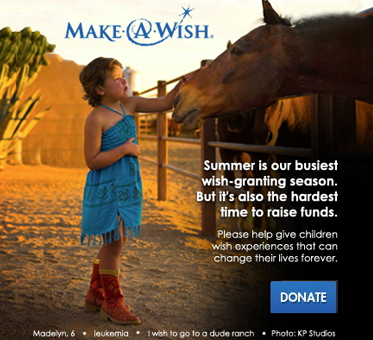 Jessie fought the brave fight against two brain tumors from March of 2011 to January 2012, and during that time her parents helped her form a Foundation based on her mantra of NEGU (NEVER EVER GIVE UP) and helped supported her effort to spread joy to as many other sick kids in the hospital as she could with her Joy Jars. Little did she realize how much these plastic jars filled with all kinds of trinkets and messages of hope would come to mean to the thousands of children who would come to receive. And little could she have imagined how great a legacy she would leave behind after she got, as her family put it, ‘her angel wings’. To date over 80,000 Joy Jars have been distributed to children in almost 30 countries. Like Jessie, Max Page is one of those extraordinary kids who, in the face of a life threatening illness, seems to just get stronger and radiate that strength to other kids around him. Max first shot to fame as the star of Volkswagen’s ‘The Force‘ Ad that went viral even before it aired during coverage of the 2011 Super Bowl, and has since racked-up over 60 million views on YouTube. Then as more people wanted to find out who was behind Mini Darth Vader’s mask, media stories soon focused on the battle Max was waging against a congenital heart condition called Tetralogy of Fallot which is the most common cause of blue baby syndrome. He now proudly shows off the scars from his pacemaker operation as he visits other children facing heart surgery or battling other medical conditions and has ‘picked up the torch’ in wanting to help fulfill Jessie’s desire to get Joy Jars to as many sick kids as possible. Late last year he helped to fill Joy Jars at an MomsLA event for Mom bloggers and announced his goal to try and fill over 100,00 Joy Jars this year. 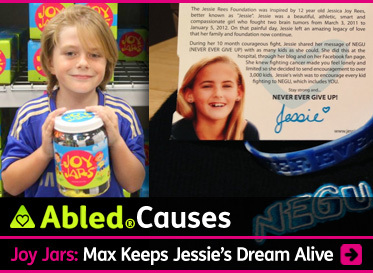 You can help Max and everyone at Jessie’s Foundation to reach that goal by making a donation here. 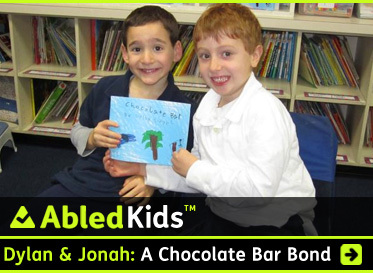 All of us at Abled.com are proud to raise awareness about this incredible effort by two very incredible kids! 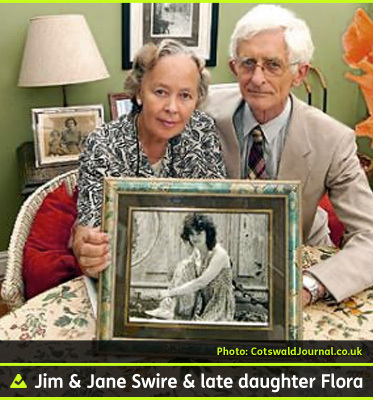 Jim Swire is the father of Flora, who was one of the 270 victims of the bombing of Pan Am Flight 103 over the Scottish town of Lockerbie in 1988. The views expressed in this commentary are solely his. 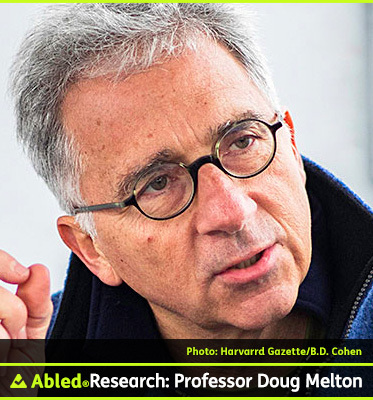 He is among the most informed about the Lockerbie tragedy, having been intimately involved from the night of the bombing. He visited the United States, the United Nations, Germany, Libya and a number of Arab countries and key cities in the United Kingdom in his investigation of the event. He continued to research the subject long after the media lost interest, studying each nuance of the words used by the prosecution and defence lawyers. Apart from those in the court itself, he is one of very few who have studied all the evidence presented at trial, totaling 12,000 pages of transcript. 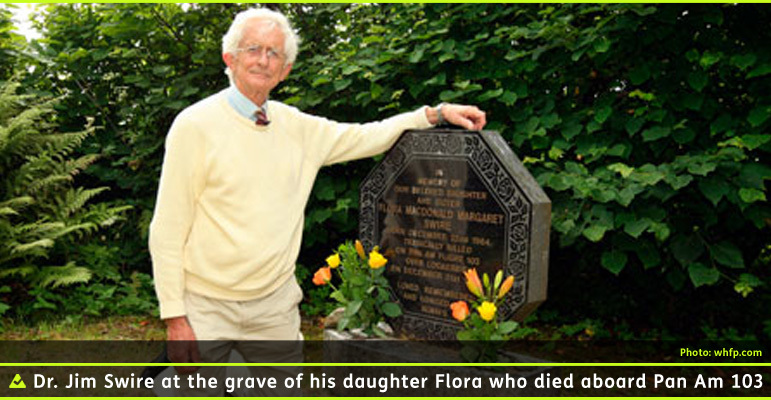 He is among a growing number convinced that the full story of Lockerbie has not yet been revealed. The first question for many relatives of the victims of MH17, as for us after Lockerbie, will be whether their loved ones suffered. Explosive decompression of an aircraft fuselage at 35,000 feet will cause almost instantaneous loss of consciousness. Explosive decompression is a terribly apt phrase. If it turns out to be true that MH17 was hit by a Buk Soviet-era SA missile, their warheads contain about 140 times the explosive in the PA 103 bomb. It seems impossible therefore that anyone aboard could have remained aware to suffer in the aftermath. The essence of the tragedy of MH17 is the suffering of the relatives. Some will need to view the bodies of those they lost. 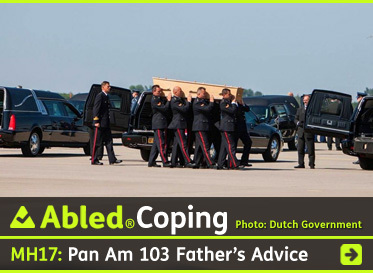 Surely they deserve security to say their last farewells. They should have that option. Bodies need to be treated with respect and precision of identification. I believe that in the case of MH17 the United Nations should also oversee immediate sending of an international team of investigators, covered by force if necessary, to ensure that relatives’ needs, the bodies themselves and the evidence field are protected. It is already very late, but not too late. There has already been looting, abhorrent to relatives, there is something particularly unsavory about the thought of unauthorised interference with bodies, or indeed personal effects of the dead. There will now be some uncertainty about the evidential material on site. Maybe the U.N. should in future have a standby arrangement for immediate deployment of such an international “sterilizing force.” Even in the case of Lockerbie, evidence emerged in court of improper interference with potentially evidential material on the crash site within Scotland. 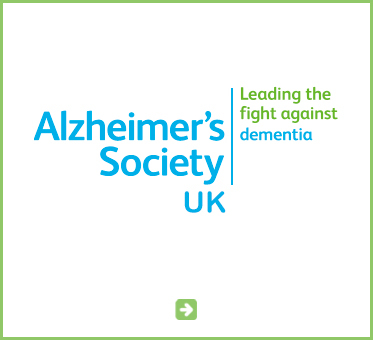 In the UK we found that a relatives’ group predicated on the concept of allowing everyone to grieve in their own way, but always there to support its members, helped. The humanist, highly caring, relative co-ordinating our group cannot know how many of us she has helped through her dedication and skills. One of the most difficult yet most rewarding aspects of Christ’s philosophy was to extend love to others even when they seem to be your enemy. We have witnessed the bitterness and personal destruction that can spring from rampant lust for revenge. Lust for revenge is natural, but self-defeating, for the consequence of revenge is so often further revenge. Nor does it even bring peace of mind to the avenger. Of course we condemn the actions of perpetrators and would rightly have them punished for what they have done, but we don’t have to hate the perpetrators themselves. Imprisoned, they may emerge one day to do good. The West ignored this warning. It is perhaps significant that the Netherlands, which lost far more citizens in MH17 than any other country, finds herself already the home of the International Criminal Court. Powerful governments have powerful means of controlling what we know and believe. International courts should be immune to that. Perversely it was the evidence produced at the Lockerbie trial in Zeist, Holland, which confirmed for some that Moammar Gaddafi’s Libya was responsible. But for other close watchers, there were doubts there which have now greatly increased and led 25 UK Lockerbie relatives, together with members of the family of the one Libyan found guilty, recently to lodge a request for a third appeal against the Zeist verdict with Scotland’s Criminal Case Review Commission. Nowadays we have a better route, through the International Criminal Court, and what those of us who are not MH17 relatives should do is to monitor and encourage all efforts to pass the whole known truth to the MH17 relatives and to discover and detain those responsible. It is no coincidence that Holland already hosts the ICC, for that nation’s record in support of international justice is outstanding. 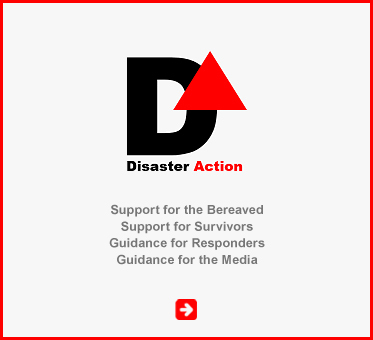 MH17 relatives may also find help from the small UK charity Disaster Action. This cannot deal with so huge a tragedy directly but carries within it wisdom distilled from Lockerbie and other tragedies. It was one of the bravest and heartbreaking fights – and at the same time – one of the most unfair. While Nick Auden didn’t live long enough to see it, the legacy of the ‘Save Locky’s Dad‘ campaign is galvanizing state governments across the United States into passing ‘Right To Try‘ laws to allow terminally-ill patients, in consultation with their doctors, to gain access to experimental drugs not yet approved by the FDA. But it’s not an achievement without controversy. Read more about the laws and the issues they are raising by clicking on the additional tabs in this section. 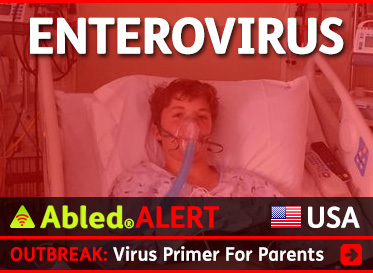 In mid-May, 2014 in the Auden family’s adopted state of Colorado, Governor John Hickenlooper signed into law the first ‘Right To Try’ law in the United States to allow terminally-ill patients to gain access to experimental drugs without federal approval. 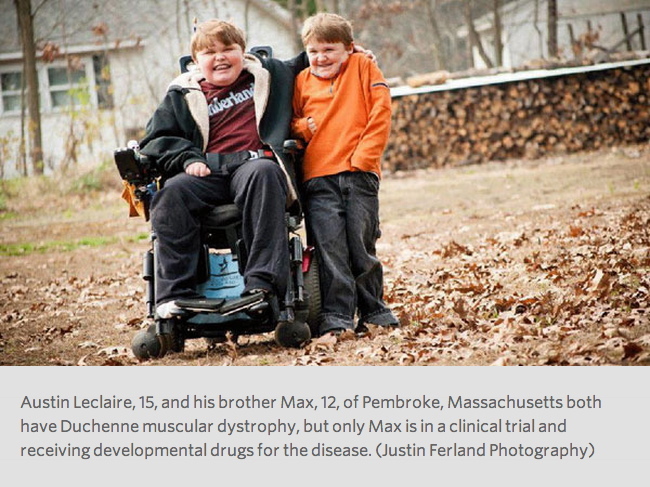 Fifteen-year old Austin Leclaire and his brother Max, 12, of Pembroke, Massachusetts, share the deadly degenerative disease Duchenne muscular dystrophy. But over the course of the past 144 weeks, the boys’ physical conditions have progressed in opposite directions. Max has regained functions – he has abandoned his wheelchair and can now run, tote his own backpack to school and even ride a bike. Austin’s capabilities are diminishing. He cannot walk at all, and he’s lost the ability to brush his teeth or hold a water bottle. He expects that soon he won’t be able to play drums anymore, one of his few remaining physical pleasures. The difference in their trajectories is that Max has been in a clinical trial for nearly three years, during which he has been given weekly infusions of the experimental drug eteplirsen, manufactured by Sarepta Therapeutics Inc. Austin was deemed unqualified to get the drug because of his more advanced condition. Withholding experimental drugs from the most gravely ill has fueled several states to pass so-called “right-to-try” legislation that would make these drugs available without Food and Drug Administration approval to terminally ill patients with no other options. Some critics of the years-long FDA drug approval process, with its requirement for multiple clinical trials, contend that it is much longer than it should be, thereby keeping some promising drugs from those who might benefit, particularly those, like Austin, with time running out. The Tufts Center for the Study of Drug Development says it normally takes 5½ to 10½ years for a drug to receive FDA approval. Because of that, Colorado, Missouri and Louisiana all passed right-to-try legislation this year that would enable those with terminal illnesses and no other treatment options to secure investigational drugs before final FDA approval if the drug manufacturer is willing to provide them. Arizona voters will decide a similar measure in a referendum in November. The legislation passed overwhelmingly and with bipartisan support, often after lawmakers heard anguished testimony from terminally ill patients or their families. The laws would cut the FDA out of the process, at least in terms of a single, terminally ill patient. The decision would be left entirely in the hands of the patient, the doctor and the drug company. Whether these laws would withstand a court challenge is an open question. Typically, state laws cannot supersede federal statutes. Even if the laws don’t withstand a challenge, advocates say, they may serve a valuable service in spotlighting the issue. “(A lawsuit) wouldn’t be all bad news because it would further elevate this issue in the public arena and put pressure on Congress and the FDA to make this change and literally save thousands of lives every year,” said Frank Burroughs, head of the Abigail Alliance for Better Access to Developmental Drugs, which he founded 13 years ago after his 21-year-old daughter died of cancer. So far, only Colorado’s law has taken effect, a little over a month ago. The Goldwater Institute, a conservative nonprofit that defends states’ rights, created the model legislation for the new laws. While it has received word of interest, no patients have yet formally tried to receive an experimental drug under the new law, the institute said. Under FDA rules for drug testing, Phase One, the first studies to use human subjects, is quite limited in the number of patient participants (typically 20 to 80, according to theFDA website on the drug approval process). This first step is intended to determine the drug’s most frequent side effects and how the drug is metabolized and excreted. If Phase One doesn’t reveal unacceptable toxicity, the drug can be approved for Phase Two trials, where the emphasis is on testing the effectiveness of the drug. This stage can involve a few dozen to 300 patients. If the drug passes muster, it goes onto Phase Three, which gathers additional evidence on safety and effectiveness and involves from several hundred to 3,000 subjects. In the Leclaire brothers’ case, those selected for the trial had to still be ambulatory most of the time, but with the expectation that their walking days would end within a year, said Jenn McNary, the boys’ mother. Max fell down occasionally, but he still didn’t need the wheelchair most of the time. Austin no longer qualified. So even as Austin has watched Max get stronger from the drug treatments, he wonders what motor skill he will lose next. And while he hopes s one day to earn degrees in mechanical engineering and zoology, he is aware that those with his condition rarely survive their twenties. 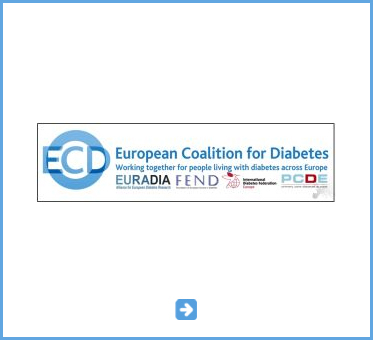 The FDA has taken no official position on the new laws. 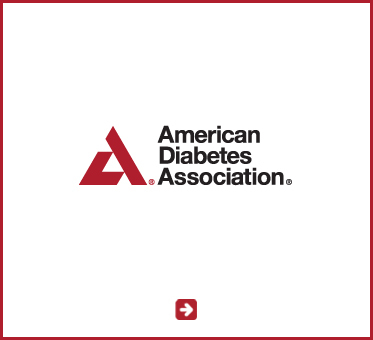 “While the agency is supportive of patients’ access to experimental new treatments, the FDA believes that the drug approval process represents the best way to assure the development of safe and effective new medicines for patients,” an FDA statement said. Although there are already provisions in place that allow for expedited approval of drugs and to make certain experimental drugs available to individuals prior to final approval, the Goldwater Institute insists that even those procedures take too long for a person whose time is running out. “A lot of patients don’t have five or six months” that those procedures take, said Victor Riches, a Goldwater spokesman. The FDA said it receives about 550 applications a year from drug companies to supply drugs to individuals before final approval and agrees to nearly all of them. But that doesn’t account for patients who have been turned down by manufacturers, such as Holly Singh, a Texas second grade teacher whose 14-month-old daughter Harper has spinal muscular dystrophy, which leaves her incapable of picking her head up, crawling or rolling over. Without help, her life expectancy is quite limited. Singh applied to Isis Pharmaceuticals, developer of the promising drug, ISIS-SMN-rx, which is soon to enter Phase Three clinical testing, for early access to the drug. In turning down her request, Isis chairman Stan Crooke raised the possibility that granting it could have prolonged the overall testing program and delayed the drug’s approval for other patients. 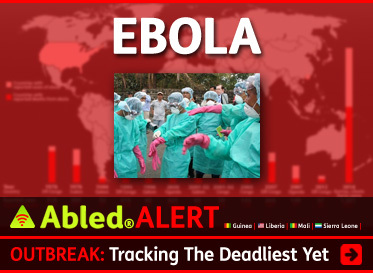 He also said that all the safety concerns had not been fully addressed. While sympathetic to the situation of individual patients, the pharmaceutical industry has been far from enthusiastic about the right-to-try laws. “We have serious concerns with any approach to make investigational medicines available that seeks to bypass the oversight of the Food and Drug Administration and clinical trial process, which is not in the best interest of patients and public health,” said Sascha Haverfield, vice president of scientific and regulatory affairs for thePharmaceutical Research and Manufacturers of America. He suggested that medical providers, the pharmaceutical industry and FDA should seek ways to improve access to clinical trials. Critics of the new laws contend that Phase One trials are too limited to assure that a drug can be safely used. “Safety (in Phase One) is tested in only the crudest way you can imagine, making sure it doesn’t kill people,” said David Gorski, an associate professor of surgery at Wayne State University and the editor of the Science-Based Medicine blog, which has been critical of right-to-try laws. Even for terminally ill patients, Gorski argues, the risks are too great based solely on Phase One trials. According to a January article in the journal Nature Biotechnology, only 16 percent of investigational drugs that complete Phase One clinical trials ultimately gain FDA approval. This May, Colorado’s governor signed the nation’s first ”right to try” bill, which allows terminally ill patients to try unapproved — and potentially dangerous — drugs outside of clinical trials and without approval from federal regulators. Missouri and Louisiana have passed similar statutes, and Arizona voters will vote on their own version this fall. For the NewsHour Weekend broadcast, we profiled the Missouri State Representative Jim Neely who introduced that state’s bill and his daughter, who is fighting a deadly form of cancer. Neely is backed by Phoenix-based Goldwater Institute and by patients and families who have lost relatives to diseases, but the proposed measure is not without controversy. While FDA remains neutral in the legislation debate, there are opponents to these type of laws. To get more context about the debate surrounding “right to try,” I spoke with Julie Rovner of Kaiser Health News. 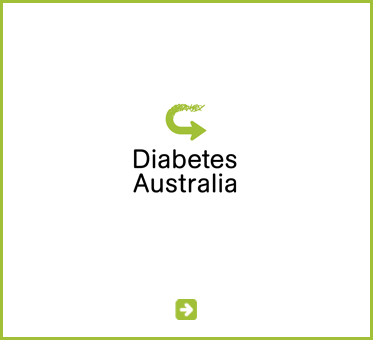 A spokeswoman for the company said it planned to make the scheme available to Australian patients “at the earliest possible time” but did not say when that could be. At the moment, only 175 patients with melanoma are receiving the drug in clinical trials. Mr Auden’s bereaved wife Amy Auden welcomed the program but said the timing was “absolutely devastating”. “Words cannot express the emotion I feel… The people at Merck said that they did not want to ‘play God’ by giving the drug to Nick (they were concerned about not having enough of the drug for everyone with stage 4 melanoma), however by denying Nick the drug, they in effect did just that,” she wrote in an email. The man known around the world as ‘Locky’s Dad’ has lost his battle with cancer. Nick Auden died on November 22 at the age of 40. He leaves behind his wife, Amy and children 7 year-old Laughlin (‘Locky’), 5 year-old Hayley, and 1 year-old Evan. The story of his battle with Stage IV melanoma went viral after his wife Amy started a petition at change.org to garner support and put pressure on pharmaceutical giants Bristol Meyers Squibb and Merck to give Nick special access to a couple of experimental ‘PD-1’ drugs that were showing great promise that were in clinical trials. Over 525 thousand people signed the petition. And even though the U.S. Food and Drug Administration (FDA) said Nick could use the drugs if one of the companies gave him access but they refused saying they were only available to people in clinical trials. 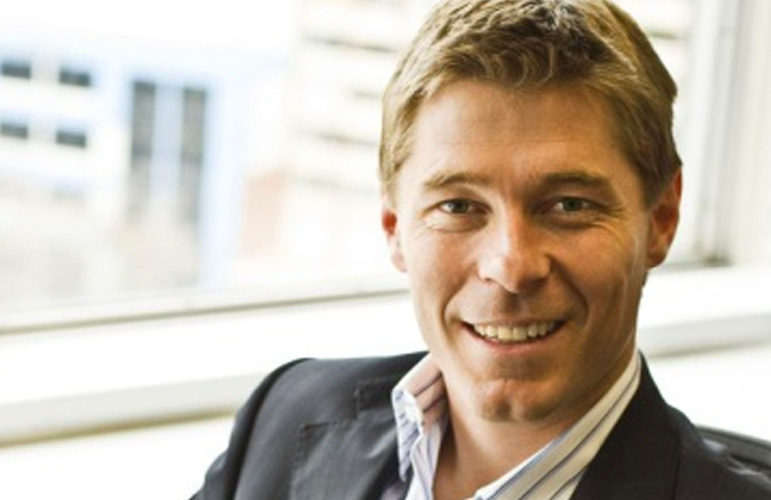 Despite the PD-1 drugs lambrolizumab and nivolumab offering groundbreaking results, a series of small brain tumours prevented Mr Auden from initially qualifying for clinical trials of the wonderdrugs. 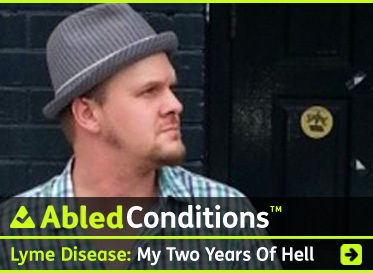 This past July, Nick was finally accepted for a trial only to suffer a partial blockage in his bowel, which again ruled him out. Following a funeral in the United States, Amy and the children returned to Australia for a memorial service there. She told the Herald Sun News in Melbourne, that, returning home without her soulmate was the toughest thing she had ever done. While Evan will be too young to remember his father, Amy has thousands of messages from people inspired by their campaign that she will treasure to show her children what a great man their father was. With her children settled in the United States, Amy said it was too early to make a decision about whether her family would return to Australia in the long-term. 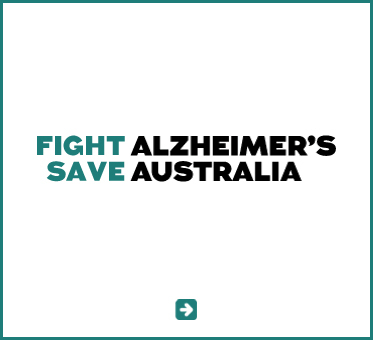 But she has promised to continue her husband’s legacy and pressure pharmaceutical companies to improve compassionate access for desperate patients. 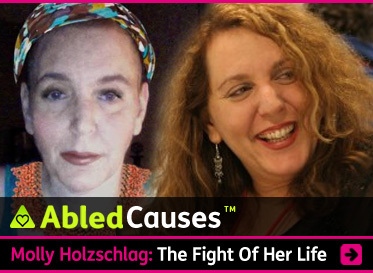 All of us at Abled.com are heartbroken by the news and offer our heartfelt condolences to Amy and her children. We will keep this post current on our site as a tribute to Nick’s courage and perseverance and will join the fight to lobby for compassionate access to experimental drug treatments. “When you’ve been given a terminal diagnosis, you’re prepared to accept a drug that’s 50 percent effective. Safety concerns don’t really figure in the same way.” Those words, spoken by Nick Auden in an interview with ABCNews.com, sum-up his fight to get access to what’s being called a new ‘wonder drug’. The 40 year-old father of three was diagnosed with Stage 4 melanoma in September of 2011. On July 2nd of this year he was admitted into a clinic trial for a drug called PD-1 that helps a patient’s own immune system shrink cancer tumors for good. 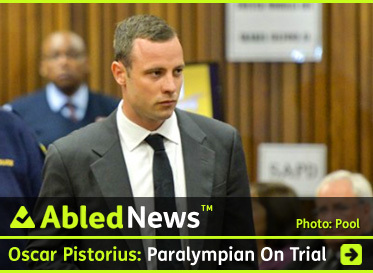 But a blocked bowel the very same day sent him to the ER and out of the trial. Now, he and his wife Amy are fighting for him to become an individual case study under compassionate-use rules which can give people access to experimental drugs that haven’t passed FDA approval outside of a clinical trial, and they’ve launched a petition campaign at Change.org to lobby pharmaceutical giants Merck and Bristol-Meyers-Squibb to provide the treatment. 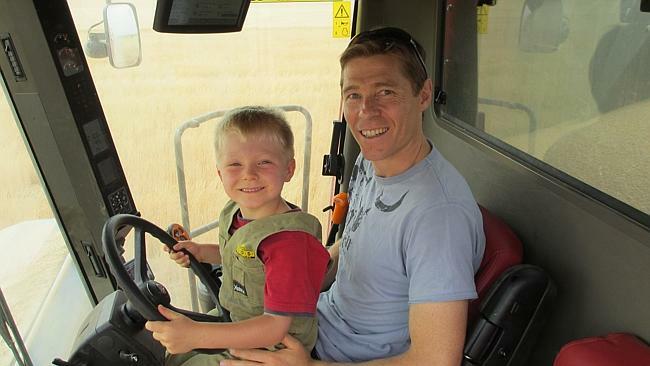 The Audens’ 7 year-old son Lachlan, nicknamed “Locky,” is included in a video on the “Save Locky’s Dad” website asking for people to support his dad. The “Save Locky’s Dad” campaign has skyrocketed since launching two weeks ago with the goal of reaching 150,000 signatures. Once it attained that goal, the Audens raised it to 200,000. Now with more than 258,000 signatures, the goal is 300,000 and as more media outlets share the story, it’s quite likely they’ll reach and even surpass that goal very soon.